A good question to ask yourself before you start instrument training is, why do you want this rating? The answers can usually be grouped into three areas. One common answer is that it’s a good thing to have in your pocket just in case you need it. Next is that it’s just another important step to a career in aviation. The third reason is that you want to increase the productivity of your personal or business flying. Nashville Flight Training also has an AATD based simulator where any training you receive may be logged per FAR/AIM part 61.65. 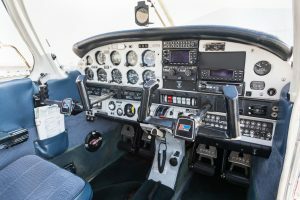 This article courtesy of the Aircraft Owners and Pilot’s Association.